We still have a long ways to go until Black Friday 2019 deals on your favorite KitchenAid mixers arrive. But you can scroll down the page to check out the details from last year’s Black Friday sales to get an idea of what’s likely to come. Enjoy! Updated on Sunday November 18, 2018: Year after year, KitchenAid mixers always end up being best sellers over Thanksgiving weekend. These machines are a great addition to any kitchen big or small, especially with all the chopping and grinding attachments you can get, and the Black Friday deals are usually fantastic. Like we do every year, our team is helping you track down this year’s top offers. Let’s take a look at what’s already been verified! KitchenAid Artisian Stand mixer on sale for on sale for $279.99 + Get $60 in Kohl’s Cash. Price after Kohl’s Cash savings is $219.99. It’s normally priced for $379.99. It’s the full-sized 5-quart model (item #KSM150PS). This is our favorite model from the ones available, and it comes in a variety of colors! Surely a fantastic deal — This will the the price to beat this year! KitchenAid Classic Plus stand mixer on sale for $199.99 + Get $45 in Kohl’s Cash. Price after Kohl’s Cash savings is $154.99. It’s normally priced for $319.99. Available in white. KitchenAid Pro 600 on sale for $399.99 + Get $90 in Kohl’s Cash. Price after Kohl’s Cash savings is $309.99. It’s normally priced for $499.99. This is the 6-quart version, model #KP26M1X. Available in dark-gray. There as are few other small KitchenAid mixers on sale too, all sale priced at $29.99. You’ve got your choice of the 5-speed hand mixer, 2-speed hand blender, and 3.5-cup food chopper. All are great little machines! Shopko has the KitchenAid 5-qt Artisan Stand Mixer listed on page 22 of their Black Friday ad this year. It’s on sale for $279.99 (that’s $120 off). Several colors available, see their site for availability. There is only one KitchenAid mixer featured in Sam’s Club Black Friday ad this year. It’s for the 4.5-quart Tilt Head Stand Mixer, on sale for $199.98 ($30.00 off). Several colors are available. They is an online-only offer that’s not available in stores (however free shipping is included). You’ll find a number of deals at Amazon’s Black Friday sale this year. Whichever KitchenAid mixer model you decide on, it’s worth comparing the sale prices to those available right now at Amazon. They also have a huge selection of attachments and accessories for your new mixer. KitchenAid Professional 5-qt. mixer on sale for $219.99. It’s normally priced at $449.99 so you’re saving $230. It’s available in a “variety of colors” but we’re just not sure what those are. Target item #KV25G0XIC. KitchenAid 5-qt. Artisan stand mixer on sale for $279.99 (regularly priced at $474.99). KitchenAid 4.5-qt. Classic Series stand mixer on sale for $189.99 (regularly priced at $324.99). Available in Silver, White, and Black colors. 20% off + and extra 20% off on top of that on all KitchenAid attachments to your mixer. You can pick up these deals at macys.com all day on Thursday, Thanksgiving day. Free shipping is included this year during the event on web orders of $49 or more. Stores open at 5:00PM on Thanksgiving day and will remain open until 2:00AM. Then all locations reopen on Friday morning at 6:00AM with the sale running through 1:00PM in the early afternoon (or while supplies last). On page 2 of Best Buy’s Black Friday ad this year you’ll see the KitchenAid Professional 500 Series Stand Mixer on sale for $219.99 (that’s $280 off). Available in silver, black and red. JCPenney has two Kitchenaid stand mixers featured on page 5 of their Black Friday ad this year. The Artisan 5-quart in on sale for $279.99 (available in red, white and black) and the Classic 4.5-quart stand mixer on sale for $199.99 (available in silver). You’ll be able to shop the offers all day on Thursday, Thanksgiving day at jcpenney.com (while supplies last). In stores the sale begins when doors open at 2:00PM Thursday and ends at store closing time on Black Friday, November 23, 2018. On page 21 of Belk’s Black Friday ad this year you’ll find two KitchenAid’s featured. The 5-quart Bowl Lift Stand Mixer (item #KG25H) and 5-quart Artisan Stand Mixer (item #KSM150). But guess what? They’ve hidden the price so we’re not sure what the deal will be just yet… I guess we all have to wait and see. There will be soon! We are making ongoing updates to this page from now through the end of November with all of the KitchenAid deals we come across. Be sure to check back soon for all the freshest updates. You’re also welcome to help us out — If you find something on sale before we do then just let us know in the comments section at the bottom of the page. Good luck and happy bargain hunting! Updated on Thursday, November 23, 2017: Dreaming of a new KitchenAid mixer? Then your wait is over as some fantastic Black Friday deals are here on a number of different KitchenAid models. That includes on our favorite one — the colorful 5-quart Artisan! Artisan Stand Mixer (model #KSM150PS) which is by far KitchenAid’s best selling model. It’s on sale for $288.99 after 15% off coupon code HARVEST15 is applied (coupon ends Nov. 24th – online only). On top of that it comes with a $60.00 mail-in rebate and you’ll also earn $75.00 in Kohl’s Cash at this price point (learn more about Kohl’s Cash on our main Kohl’s Black Friday page). That brings the effective price after savings to $153.99, with free shipping if bought online. Best of all, you have all 34 colors to choose from to help you match your kitchen’s decor. Classic Stand Mixer (model #KSM75) on sale for $199.99 after $40.00 mail-in rebate. You’ll earn $60.00 in Kohl’s Cash with this model. That brings the effective price after savings to $139.99, with free shipping included. Pro 600 Stand Mixer (model #KP26MIX) on sale for $399.99 after $70.00 mail-in rebate. Here you’ll earn $120 in Kohl’s Cash which brings the effective price after savings to $279.99. Kohl’s goes live with most of their Black Friday deals on Monday, November 20th, at on their site (KitchenAid included!). In stores they go live on Thanksgiving day when stores open at 5:00pm (that’s November 24, 2016). – JC Penney: JC Penney’s Black Friday ad this year features two different KitchenAid mixers. The first one is the more expensive, yet most popular model, the Artisian 5-quart stand mixer. It’s on sale for $279.99 after $60.00 mail-in rebate (regularly priced at $449.00). There are three colors shown in the ad — red, white and black — but you can expect the sale price to span across the other colors available as well (colors may vary by store). Your second option is KitchenAid’s 4.5-quart stand mixer on sale for $199.99 (regularly priced at $300.00). Also a good machine! The ad just shows the white model available, we’re not sure if there will be others to choose from. Both of these deals go live on Thanksgiving day, November 23, 2017, both online and when stores open their doors (this may vary by location). – Target: On the last page of Target’s Black Friday ad this year you’ll find the KitchenAid Ultra Power Plus 4.5-quart tilt-head stand mixer on sale for $249.99 (normally priced at $349.99). Several colors will be available at this sale price. Offer valid from Nov. 23–25, 2017 or while supplies last. If shopping at online this year then you’ll get free shipping to your home as well. Stores open at 6:00PM on Thursday, Thanksgiving Day (Nov. 23, 2017). Offer available while supplies last (no rain checks). – Macy’s: Macy’s will have your choice of either the KitchenAid Artisan mixer on sale for $279.99 or the KitchenAid Stand mixer on sale for $179.99 this Black Friday. They are also offering 20% off on all KitchenAid mixer attachments in stock. Shop the deals starting Thursday, Thanksgiving day online and in-stores when doors open at 5:00PM (that’s Nov. 23rd). Available while supplies last. Colors may vary by store location. – Best Buy: Best Buy is featuring the red KitchenAid Professional 500 Series Stand Mixer for $199.99 (that’s $300.00 off). Their Black Friday ad states that other colors may be available. You’ll also be able the get 20% off on select KitchenAid attachments (we use the meat grinder at home and it’s great!). Shop the sale beginning Thursday, Thanksgiving day on their site and in stores later that afternoon when doors open at 5:00PM (that’s on November 23, 2017). Available while supplies last. – Sam’s Club: Sam’s Club has the KitchenAid Ultra Power 4.5 Quart Tilt-Head Stand Mixer featured in their Black Friday flyer this year (model #856241). It’s sale priced for $189.98 after $60.00 off. You’ll have several colors to choose from. Available online only, it won’t be in stores this year. Shop the sale starting at 12:01AM EST on Thanksgiving day (Thursday Nov. 23rd) at samsclub.com. – Shopko: Shopko will have the 5-quart KitchenAid Artisan Mixer in various colors on sale for $279.99 (normally $399.99). Their Black Friday ad also mentions a mail-in rebate will be available but it doesn’t say for what amount. You’ll be able to download the rebate form or pick one up at their service desk in-stores once the sale goes live. The sale begins on Wednesday, the day before Thanksgiving, on their site (that’s November 22, 2017). In stores it will be available starting at 4:00PM on Thanksgiving day, November 23, 2017. Just keep in mind that the colors in-stock will vary by store. – Meijer: Meijer’s featuring two KitchenAid mixers in their 2017 Black Friday ad. The first is the 4.5 quart Classic Plus Stand Mixer on sale for $149.99 (that’s $100 off). It also comes with a $25 off coupon that you can use on a future visit to Meijer. The second one is the 5 quart Pro 500 mixer on sale for $199.99 (that’s $220 off the list price of $419.99). Sale begins at 6:00AM on Thursday, Thanksgiving day (November 23, 2017) and will be available all day or while supplies last. – Belk: On page 4 of Belk’s Black Friday ad this year you’ll find a few different KitchenAid mixes featured on sale. The 5-quart Artisan is on sale for $279.99 after mail-in rebate, the 3.5-quart Artisan is $249.99 after mail-in rebate, and the 5-quart Stand Mixer is $199.99 (no rebate on this one but it’s only available online). The sale runs from Thursday, Thanksgiving day (Nov. 23, 2017) through Saturday (Nov. 25, 2017) online and in-stores. Stores open this year at 4:00PM on Thanksgiving day so if you plan on going then you can forget about Thanksgiving dinner. – Bon-Ton: Pick up either the KitchenAid Artisan (Model #KSM150PS) on sale for $299.97 after $60.00 mail-in rebate (there are over 20 colors to choose from at this price) or the KitchenAid Professional in onyx black (Model #KG25HOXOB) on sale for $199.98 after mail-in rebate. Both include a $25 promotional gift card. The sale runs from 11:00AM on Thursday, Thanksgiving day, through 3:00PM on Black Friday (Nov 23—24, 2017). More details found in Bon-Ton’s Black Friday ad. – Mills Fleet Farm: Mills Fleet Farm will have the KitchenAid Artisan Series 5 Quart Tilt-Head Stand Mixer in Metallic Chrome on sale on Black Friday for $279.99 after $40 savings and $60 mail-in rebate. Model# KSM150PSMC. We’re not sure if any other colors will be available. The sale begins at 6:00AM in-stores on Black Friday (Nov. 24, 2017). Offer valid while supplies last. – Sears: This year Sears is featuring the KitchenAid KSM500 5-quart stand mixer on sale as part of their Black Friday doorbuster deals. Not to be confused with the Artisan, this a different machine. It’s on sale for $199.99 (that’s $100 off). Colors may vary by store. The sale price is valid from 6:00PM on Thursday, Thanksgiving day, through Friday at 2:00PM (Nov 23—24, 2017). Available while supplies last. – Overstock: You’ll find the KitchenAid Empire Red 4.5 Quart Tilt-Head mixer in Overstock’s Black Friday flyer this year. It’s sale priced at $179.99. We just don’t know the exact start and end dates for the sale. – Navy Exchange: For any of you in active military service, you’ll be able to pick up any one of several KitchenAid mixers featured in their Black Friday ad this year. The Artisan 5-qt is $229.99 after $60 mail-in rebate, then Artisan Mini 3.5-qt is $219.99 after $60 mail-in rebate, and the Pro 600 6-qt is $329.99 after $60 mail-in rebate. You can also save 20% on all other KitchenAid small appliances and accessories. Offer valid Thursday, Thanksgiving day through Saturday (Nov. 23—25, 2017) or while supplies last. Shop in stores or online. Stores closed on Thanksgiving day but will be open on Black Friday at 5:00AM. Just keep in mind that similar to AAFES, only active-duty military, reserve, and National Guard employees will be able to shop at NEX. Updated November 24, 2016: Happy Thanksgiving! So you’re looking to buy a fancy, colorful new KitchenAid Artisan stand mixer this Black Friday weekend? Or maybe it’s one of the other models that you’re dreaming about like the Architect, Pro Line, Ultra or Classic? 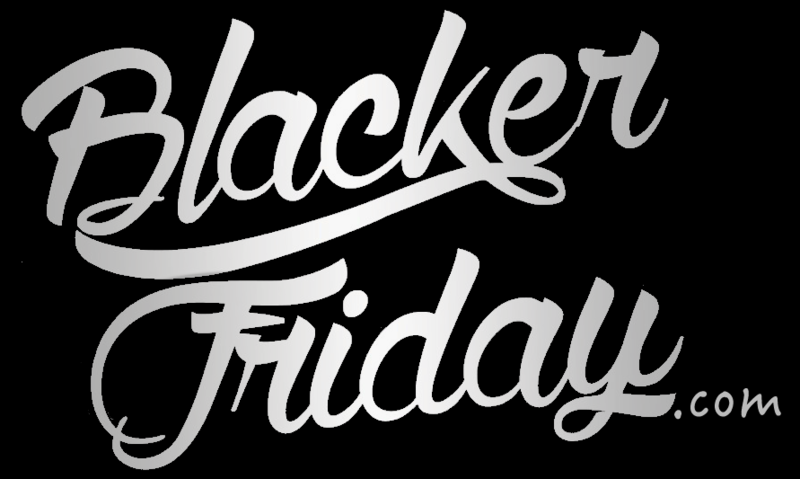 Well, the deals are now here and we are tracking all of our favorites right here on Blacker Friday! Artisian Stand Mixer (model #KSM150PS) which is by far KitchenAid’s best selling model. It’s on sale for $329.00 + $50.00 mail-in rebate + $75.00 in Kohl’s Cash. That brings the effective price after savings to $204.00, with free shipping. Best of all, you have all 34 colors to choose from to help you match your kitchen’s decor. Classic Stand Mixer (model #KSM75) on sale for $229.99 + $30.00 mail-in rebate + $45.00 in Kohl’s Cash. That brings the effective price after savings to $154.99. Pro 600 Stand Mixer (model #KP26MIX) on sale for $449.99 + $50.00 mail-in rebate + $105 in Kohl’s Cash. That brings the effective price after savings to $254.99, with free shipping included. Kohl’s goes live with their Black Friday deals on Thanksgiving day at 6:00pm when stores open (that’s November 24, 2016). However, most of their Black Friday deals will be available early for online shoppers starting Monday morning, November 21, 2016. KitchenAid Artisan 5-quart Stand Mixer (model #KSM150PS) on sale for $329.99 plus $50.00 mail-in rebate, which drops the price to $279.99. Red, Black and White are advertised but other colors may also be available. KitchenAid 4.5-quart Stand Mixer (model #KSM75WH) on sale for $229.99 plus $30.00 mail-in rebate, which drops the price to $199.99. They also have a Sunbeam Heritage Stand Mixer that’s worth considering because it’s pretty cheap – only $79.99 after $50.00 mail-in rebate. These deals will start when doors open at 3:00PM on Thanksgiving day (November 24, 2016) and will run through Friday until 5:00PM. However, as is with most Black Friday deals, many of the best deals will sell out earlier than that. – Macy’s: Choose from either the KitchenAid Artisan 5-qt on sale for $279.99 or the KitchenAid Classic 4.5-qt on sale for $199.99 at Macy’s this year. From the ad, it looks like there’s no extra rebates to send in so that’s a plus. Both offers go live when stores open at 5:00PM on Thursday, Nov. 24, (Thanksgiving day) and will last through 1:00AM in the morning. Then the sale continues when stores re-open at 8:00AM on Black Friday and will be valid through 1:00PM, or while supplies last. – Bon-Ton: You’ll have three different Kitchen-Aid Stand Mixers to choose from this year at Bon-Ton! The most popular, and most expensive, is the Artisan 5-qt on sale for $299.97 after $50.00 mail-in rebate (assorted colors available). Your second choice is the Professional 5-qt. bowl-lift stand mixer in onyx black on sale for $199.97 after $50.00 mail-in rebate (originally priced at $425.00). And your third option is the best of them all (in our opinion) but your color options are limited; pick up the Artisan 5-qt in silver metallic or golden shimmer for just $199.97 after $50.00 mail-in Visa gift card rebate. Best of all, all three machines will earn you a free $25.00 promotion in-store gift card on top of the sale price. You’ll be able to shop the sale all day on Thanksgiving Day either online or when stores open at 5:00PM (while supplies last). – Sam’s Club: Online only, you’ll be able to pick up the KitchenAid Ultra-Power 4.5-quart Tilt Head Stand Mixer for $189.98 with free shipping (normally $249.98). A variety of colors are available. The sale starts Thursday, Thanksgiving day, November 24, 2016 at 12:01AM EST and runs through Sunday, November 27, 2016 at 11:59PM EST. This deal will not be available at any of their stores. – Target: Target’s Black Friday ad this year features the KitchenAid Ultra Power Plus 4.5 quart stand mixer on sale for $259.99 (save $70.00). But you’ll also receive a $20.00 Target store gift card with your purchase, so your price with savings included drops down to just $239.99. Several colors are available to choose from at this sale price besides the red, silver and baby-blue that’s shown in the ad. Offer valid from Wednesday morning (Nov. 23rd), the day before Thanksgiving, and runs through Thursday, Thanksgiving day, at target.com (while supplies last). – Best Buy: Best Buy’s Black Friday ad features the Professional 5 Plus Series Stand Mixer in silver on sale for $199.99 (that’s $300.00 off their list price of $499.99). The sale begins online November 24th, Thanksgiving day, online and in-stores when they open at 5:00PM. – Overstock: You’ll be able to pick up the KitchenAid Pro 600 Bowl Lift in Onyx Black on sale for $279.00. That comes out to be 61% off their list price. – Belk: Belk is advertising their KitchenAid deal as their “lowest price ever” . You’ll be able to get any one of the 20+ colors of KitchenAid’s Artisan 5qt Stand Mixer for $279.99 after $50.00 mail-in rebate. You’ll also have the choice of getting the 4.5qt Classic Stand mixer on sale for $199.99 after special price and $30.00 mail-in rebate. These deals go live at 4:00PM on Thursday (Nov 24, 2016) and then again at 6:00AM Friday morning (Nov 25, 2016). – Sears: Sears has two different KitchenAid mixers on sale this year. Their doorbuster deals is on the the 5-quart stand mixer with bowl lift on sale for $199.99 with $50.00 worth in point. The second deal is for the Artisan 5-quart mixer (model KSM150) on sale for $279.99 after $50.00 mail-in rebate. Sale begins at 6:00PM on Thanksgiving day (Nov 24, 2016). – Shopko: Shopko is advertising the KitchenAid 4.5-quart mixer for $229.99 (that’s $40.00 off). You’ll also qualify for a $30.00 Visa prepaid card with mail-in rebate. The sale begins Wednesday November 23rd at shopko.com and Thursday, Thanksgiving Day, November 24th in-stores beginning at 4:00PM. – Meijer: Starting at 6:00AM on Friday (Nov. 25, 2016) in stores, you’ll find the KitchenAid 4.5 quart Classic Plus Stand Mixer on sale for $199.99 (that’s $50.00 off to list price of $249.99). It’s only available in white, model #KSM75WH. Here’s our final list of top KitchenAid mixer deals for Black Friday 2015. They are ordered in terms of our favorite deals. Enjoy! #1 – Kohls. They are advertising KitchenAid Artisan (model KSM150PS) 5-qt. Stand Mixer on sale for $349.00 (normally $449.99). But then if you shop online, you’ll be able to use promo code NOV15 to get 15% off and then you’ll be able to send in a $50.00 manufacturer rebate on top of that which drops the price down to $247.49. As an added bonus, you’ll earn an extra $75.00 in Kohl’s Cash to use on a future purchase. Just keep in mind that there is a $7.50 shipping surcharge on this item. #2 – Bon-Ton. They are advertising a closeout price on the KitchenAid Silver Metallic Artisan 5 quart stand mixer a final sale price of $199.97 after $50.00 rebate. On top of that you’ll also get a $25.00 Bon-Ton store gift card so effectively if you count that in your getting the machine for just $174.97 before tax. This offer was available from Thanksgiving day from 5:00pm through Friday 3:00pm while supplies lasted. #3 – Macy’s. Macy’s is advertising the Architect, which is identical to Artisan except that it comes in several exclusive metallic colors, for $264.99 with a free Food Grinder Attachment (a $49.99 value). That’s at a $314.99 sale price and after the $50.00 rebate that you’ll need to send it. There are three different colors to choose from – A red, grey, and blue. Is this worth paying more for? That’s for you to decide. This offer is valid from Thanksgiving day, Thursday from 6:00pm to Friday at 1:00pm Friday, and then again on Saturday from 7:00am to 1:00pm. #4 – Amazon. On Black friday most machines in a variety of colors, from Empire Red to Buttercup to Green Apple and in between, on sale for $269.99 plus free shipping (no rebates or other hoops to jump through). But as you know with Amazon, their prices change all the time and although we wen’t monitoring the deals leading up to the Friday or over the weekend, we did notice that the price dropped to below $200.00 for several hours on Cyber Monday so just keep that in mind. #5 – Belk. For 2015 they were advertising the 5-quart Artisan in any color you wanted for $299.99 after $50.00 mail-in rebate. They also had an early-bird special for an extra 15% off on top of that if you shopped between 6:00pm Thursday and 1:00pm on Friday which would save you an extra $50.00 or so, therefor dropping the effect final price down to under $250.00. #6 – Sam’s club. We found this offer confusing because the ad states that it’s the Artisan model but the quart capacity makes us believe it’s the Classic model, so we’re not sure what to make of it. But the price was good if it indeed was the Artisan at a sale price of $199.98 with no extra rebate to send in. The only thing was that you had to be a current Sam’s Club member to buy it and it was only available online. #7 – Best Buy. They didn’t have any good deals on the Artisan model for 2015 but advertised the Classic model for $199.00 ($50.00 off) and the Professional 5 Plus series (6 quart capacity) for $224.99 (after $225.00 off). Not really anything to get excited about – We would skip on these two machines in light of the other offers available. #8 – Target. Target was advertising the Ultra mixer, a step down in both power and capacity when compared to the Artisan, for $249.00 ($50.00 off) with an extra $20.00 store gift card free. This was another offer that was probably best to be avoided. #9 – Costco. The KitchenAid models at Costco can be a bit funky at time so just keep that in mind if you’re planning on buying attachments. They have a coupon for $40.00 off on what looked pretty similar to the Artisan just the 4.5 quart capacity lead us to believe this was rather the Classic model. #10 – JC Penney. The Artisan was on sale for $299.99 after the $50.00 rebate so not particularly anything exciting. They also had the Classic model on sale for $199.99 after the same $50.00 mail-in rebate. #11 – Sears. They had the Artisan available Thursday through Saturday for $379.00 with a $30.00 store points deals and $50.00 rebate. So that would bring you in at just under $300.00 which was one of the worst deals we could find all weekend. But then instead you could get the Professional model for $199.99 ($100.00 off) which was the bestir deal of the two. When do rebates typically post? I notice they are not live just yet for 2018 Black Friday shopping.